If you ask students to identify how a character is feeling in a story, you might hear one of the following three words pop up: happy, sad, mad. Character emotions are not something children automatically understand. To help students with this, we need to be intentional. 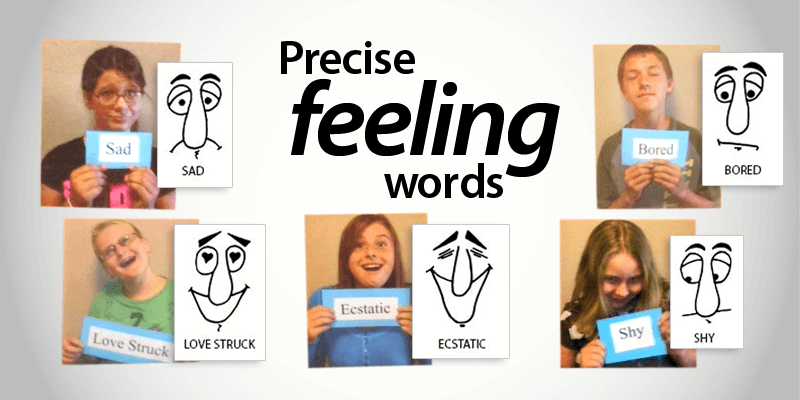 Inferring a character's precise feelings is complicated. It involves looking beyond the words. It takes time to build this skill in young readers. Making it tangible can help. One way to make it more concrete is to put a face to it. Here are three activities, all of which will help with reading into a character's emotional state. 1. Try reading How Are You Peeling? 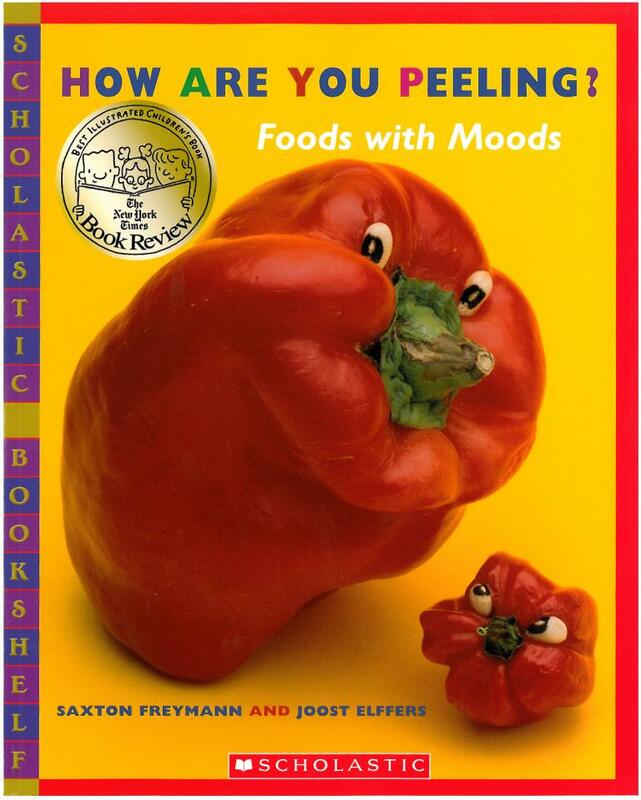 Make sure to give students a close-up look at these funny fruits and vegetables. Amazing pictures! 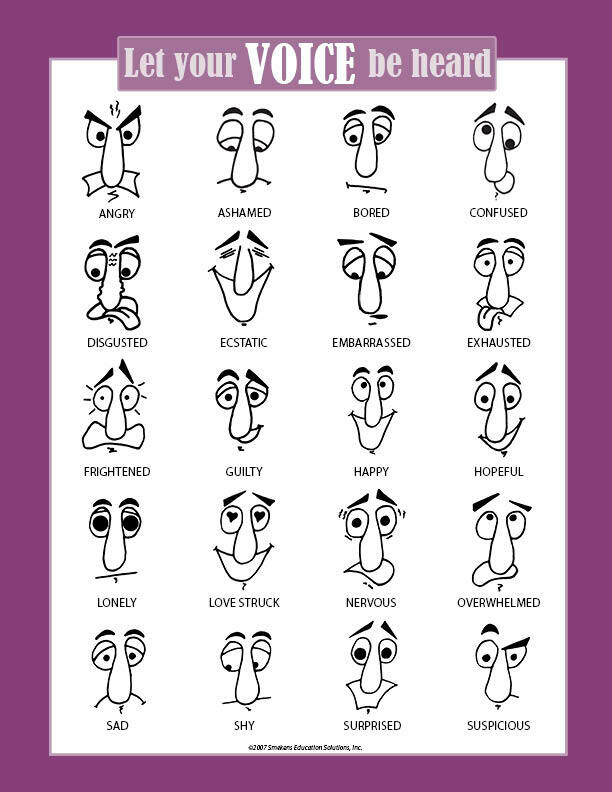 Take time to discuss the different emotions pictured. This book definitely lengthens the list to include amused, confused, frustrated, surprised, etc. 2. Another way to help young learners stretch their character emotion list requires some cutting up! 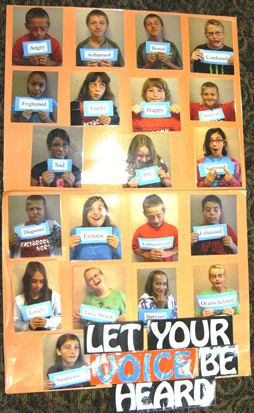 Use a copy of the Let Your Voice be Heard poster; laminate it and cut it up to provide individual emotion cards. The labels on each picture will increase understanding of emotions. Or, cut the cards without the labels and ask students to use a dry-erase marker to write the character emotions they associate with that face on the back of each one. 3. Two 6th grade teachers took this a step further by photographing their students one at a time as each student showed a specified emotion with facial expression and body language. Tiana Perin and Veronica Tittle of Eastbrook Van Buren Elementary School (Van Buren, IN) then created a bulletin board highlighting all the different emotion options. The kids loved it because they could see classmates making all those funny faces. The teachers loved it because it broadened their students' idea of voice. It's great because it's kid-friendly and really gets the point across. Voice matters! So, try one of these ideas to help your students go beyond the simple happy, sad, mad. As you see their character inference ability grow, you'll be happy ecstatic!